blooming flowers in the garden. Bunnies on the mantel. spring decor pieces for many years. This spring mantel looks so sweet in our Cozy Corner. Hope you enjoyed your visit today and please come back soon. 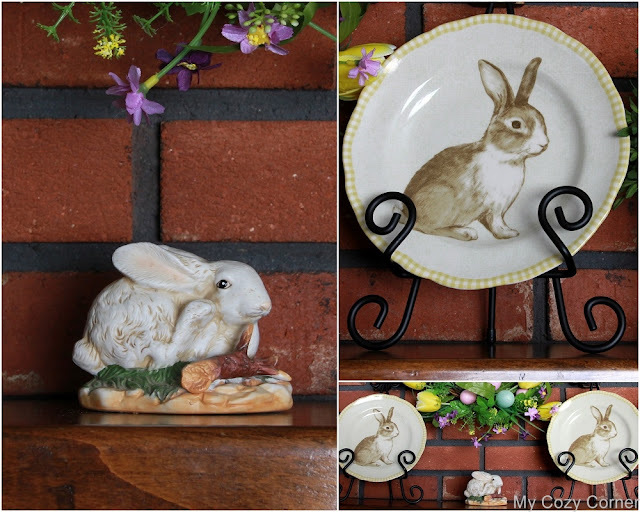 Your mantel looks so spring-y...the bunny plates are adorable. Have a wonderful week, Betty. Very cute, love the bunnies! 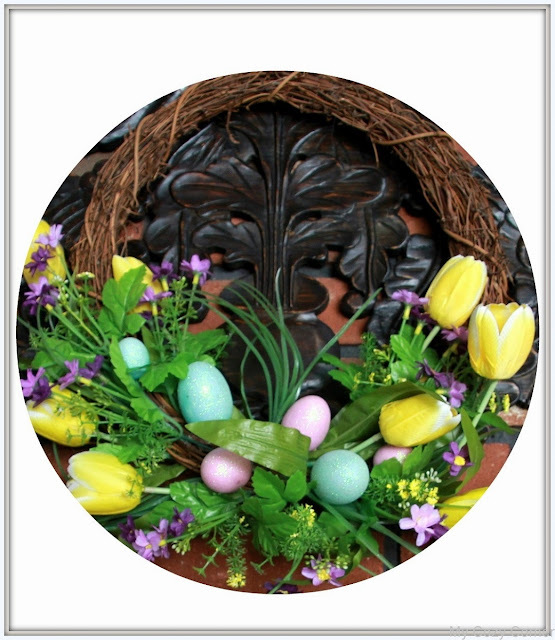 Love your delightful mantel for Easter. It is not overdone and I love how you infused the Easter decor into the anchor pieces. Found you through Dishing It & Digging Linky Party!